The English oak has a majesty all of its own. It has been used for generations for building the strongest ships and adorning the finest houses. It is a hard, heavy and durable hard wood. Although generally having a coarse straight grain, it can have wonderful variations in grain, texture and colour and small pin knots and burrs are an attractive and acceptable part of its appearance. Although very durable it does need to be maintained - if water creeps in, fungal activity will cause the grain to blacken. 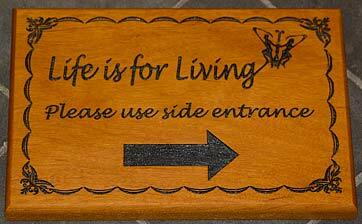 The chestnut timber for these wooden house signs is all locally grown in the South West. Chestnut is a sustainable timber often grown in coppiced woodlands. It can be left untreated and in most circumstances will weather down to a silver grey colour. Sweet chestnut is traditionally known as poor mans oak! However we don't look at it this way - more of an interesting alternative to oak. It certainly does look very similar to oak with a fairly dense grain. It also has a high tannin content that makes it very durable. Pronounced Sa peel e, this species is another of the world's most extraordinary hardwoods. Its rich, lustrous, and variable reddish-brown colour give it a mahogany-like appearance. However unlike most mahoganies, Sapele has substantially less movement in service. It is also even harder than oak. It is moderately durable and should always be maintained with oil or varnish. A rich mahogany-like appearance which looks great with white lettering. A lovely timber - rich brown and very high quality hardwood which is often a difficult to obtain. It is close-grained and resists warping and shrinking. It will redden when exposed to sunlight and darkens and becomes richer with age. The timber is meditatively durable and should always be well maintained with oil or varnish. A very attractive, high quality hardwood, but it does need to be well maintained if outside. Douglas Fir (Pseudotsuga menziesii) is not a true fir at all, nor a pine or spruce. It is a distinct species named after Archibald Menzies, a Scottish physician and naturalist who first discovered the tree on Vancouver Island in 1791, and David Douglas, the Scottish botanist who later identified the tree in the Pacific Northwest in 1826. It is now North America's most plentiful softwood species. It has a reddish brown to orange colour with a prominent grain and is characterized by exceptional strength, hardness and moderate durability. It is not only very tough but also water resistant, which makes it useful in exposed situations where maintenance is difficult. A tough strong softwood with a distinct grain, best used for large signs. Softer than oak, yet very stable and long lasting - cedar can be left untreated and matures to silver grey colour. 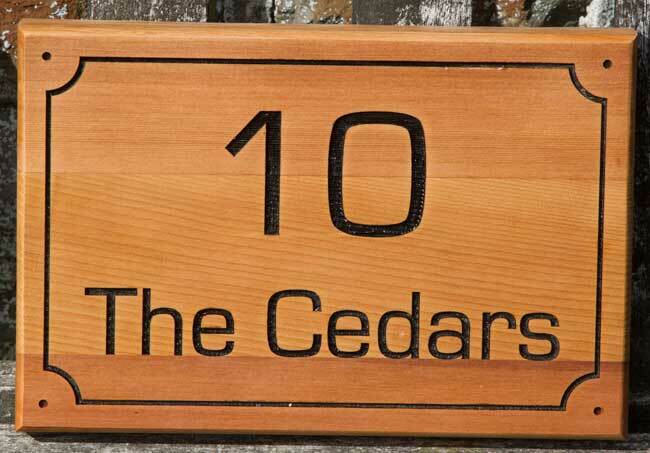 Cedar renowned for its natural beauty and outstanding physical properties that make it one of the world's most unique softwood species. This exceptionally beautiful wood has natural colorings in mellow ambers, reddish cinnamon's and rich sienna browns. Slow growing and naturally durable, Red Cedar has one of the longest life spans of the softwoods. The heartwood contains substances that are toxic to the decay causing fungi. 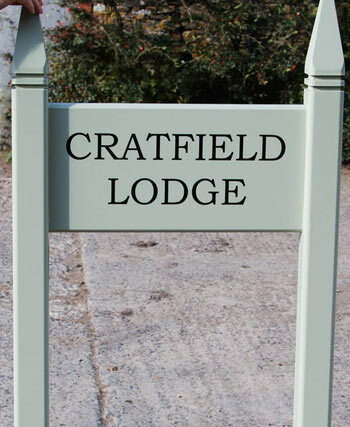 It is a medium density timber which is very stable, naturally oily and therefore highly durable and ideal for external signs. It is another timber which can be left untreated. It is used widely for boat building, window frames as well as cabinet work and furniture making. Iroko sign attacked to iroko posts with wrought iron scroll bracket. An attractive timber which is naturally oily and can be left untreated. To keep it looking as new, wipe over with Danish Oil every couple of months. Balau is a responsibly managed timber which looks like teak. It is a heavy, hard and very dense timber which is full of its own oil. Colour varies from yellow-brown to brown. It would normally be used in heavy construction such as bridge and wharf construction as well as boat building. Useful by rivers, in marine environments and placing directly on the ground for green burial tablets. It main disadvantage are the small black pin holes which can be characteristic of this timber. It also can form small cracks across the surface, but this will not effect it longevity. Although not as attractive as some timbers, Balau is the most durable timber we use. Priced as oak. The heartwood is an orange-brown colour with a copper coloured lustre. The grain is mostly interlocked producing a striped or roll figure when quartered, sometimes with irregular grain. The texture is fairly coarse due to large pores. This is an exceptionally strong and very durable timber - full of oil. It is used for piling and decking in wharves and docks, jetty and marine work, boat building , wagon bottoms, exterior and interior joinery, furniture, cabinet work and decorative turnery. 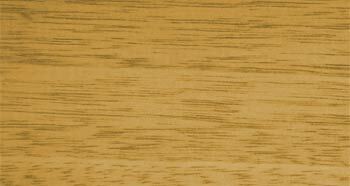 This is an attractive oil rich timber which is very durable - can even be left untreated. Ask for a quote. There is no colour difference between Sycamore's sapwood and heartwood, the timber being white, or yellowish-white when freshly cut, with a natural lustre. The texture is fine and it has a similar high strength to oak. If used outside it would need to be very well maintained. 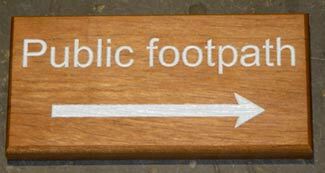 Accoya wood is perfect for painted signs. It is an environmentally friendly solid modified timber which is more stable and durable than the best tropical hardwoods. It starts life as Radiata Pine which is a fast growing sustainable timber. The wood is then modified by acetylation which changes the chemical structure from the surface to the core. This is a completely non toxic process, which introduces no chemicals not already found in the timber. It actually uses acetic acid (also known as vinegar in it’s diluted form) to modify the timber. Acetylation creates the high performance wood, more stable and durable, mainly due to the fact that it almost eliminates the woods ability to absorb water. It can withstand the toughest outdoor environments and requires far less maintenance. Extensive testing has shown that paints can last up to three times as long on Accoya compared to unmodified wood. 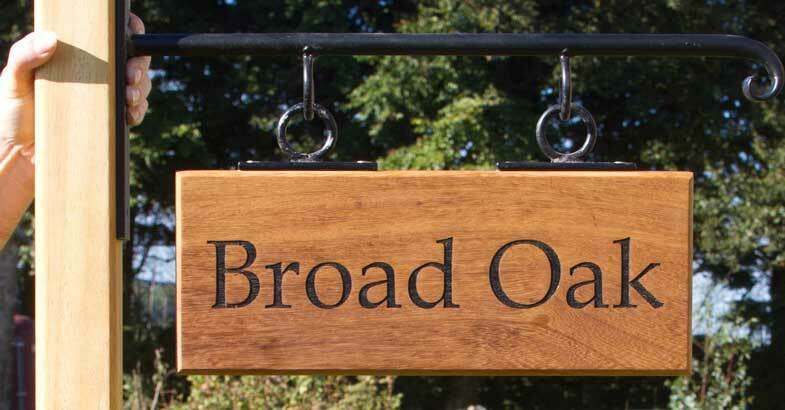 We now prefer to use Accoya in place of oak for painted framed signs. This is a cheaper hardwood so where price is important ths may be an option. The colour is yellow to light brown with a medium to fairly course texture. It will never be as beautiful as oak and is not quite as durable as oak or iroko. However it is still a hardwood and far more durable than any softwood.